Oracle EBS provides companies with a comprehensive, enterprise-level suite to manage all aspects of your business. As an Oracle EBS user, you know how to leverage the platform to run your business, but you may not have visibility into who has access to perform critical functions, as well as monitoring what your admins are doing with their broad-based access. Who can create a vendor and then pay that vendor with no oversight? Who has access to modify the chart of accounts, bank account data for vendors, or process journal entries? Who is turning approvals on and off, or opening and closing periods? What data are your Linux/Unix admins or Oracle DBAs changing? Who Has Sensitive Access in Oracle? In Fastpath Assure®, the Access Review module comes with an out-of-the-box report to track Oracle users with access to sensitive areas of EBS. Between complicated roles and responsibilities, orphaned users, and special projects that demand extra access for users, it can be hard to know who has access to what parts of Oracle. 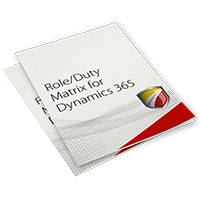 Reviewing this regularly can be necessary for audits, but also best practice for maintaining security. With Fastpath tools you can quickly run reports to allow for quick remediation and/or identification of incorrect user access. Access can be reviewed by user, role, or responsibility, down to the field and menu access level, so no access can go unchecked. The Audit Trail module in Fastpath Assure continuously monitors activity in Oracle, reporting critical changes, encompassing when, who, and before and after values. Do you know what changes are being made to your Oracle data or system configuration? Even with proper segregation of duties and access controls in place, there is still a likelihood for error or fraud. System administrators need broad-based access to do their jobs - sysadmin, dba, and Super User roles are ubiquitous, but still create risk for your organization. Even everyday user accounts can make mistakes in critical areas that require detection and repair after-the-fact. 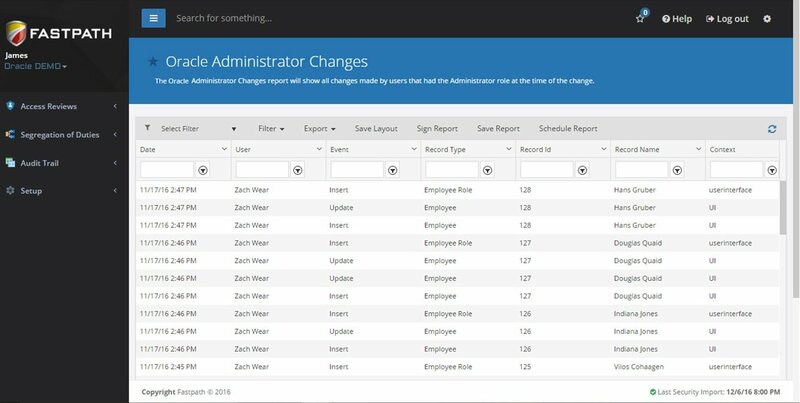 With the Audit Trail module, you can track changes made to any data in the Oracle system you choose. The included report templates allow you to operationalize immediately, with the ability to see who made changes, when, as well as the before and after values. 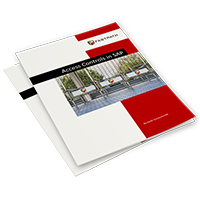 The Fastpath Assure SoD module assesses user access in Oracle based on a customizable out-of-the-box ruleset. Separation of duties (SoD) is the practice of minimizing the access given to each user. A good ruleset breaks down which functions shouldn't be accessible by a single user at the same time. Creating a good ruleset can be daunting as you must recognize the security of your business as well as any laws and regulations for your location, industry, customers or business type. Fastpath tools include a ruleset out-of-the box, built specifically for Oracle EBS by our team of certified internal auditors. With over 70 conflicts in the ruleset you can easily add to and customize it for your specific needs. The conflicts can be given a risk level and tracked down to the function level. The Identity Manager module in Fastpath Assure automates access requests, approvals, and application without the need for IT. The Audit Trail module allows you to track the changes users make in your Oracle database. 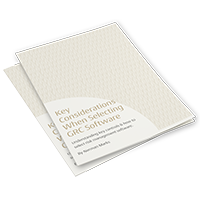 Compliant user provisioning in Oracle can be tedious with the ever complicated number of access points within each role or responsibility. Then add on the necessary approval process and a simple access request can take a week or longer to be applied. With Fastpath's Identity Manager,you improve this process with immediate segregation of duties analysis and an automated approval process. The approval process can be setup based on user requesting, access requested, or even risk-level inherent in the request. But what if someone needs Super User or Admin access in Oracle? Super Users might not always be so super. The unhindered access given to super users and admin users subjects your business to numerous unnecessary risks. Not only is fraud possible, but simple mistakes using these roles could cause many problems. If you do use super user roles it should be for limited time periods and most importantly heavily monitored. With Fastpath Audit Trail you can choose to track the activity of super users, especially areas of critical risk. Two commonly accepted methods of managing the security of your business are through preventative or detective controls. Preventative controls prevent users from specified activities - e.g. store managers need to type in a code before staff can open the cash register for non-sales transactions. The primary operational issue with preventative controls is that they can also prevent productivity! The alternative is detective controls or after-the-fact monitoring to detect specified activities to prevent them from becoming permanent. Detective controls allow for more efficiency but allow you to catch fraud and mistakes should they happen. 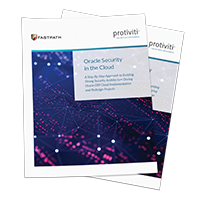 Using Fastpath Assure's Audit Trail module to enforce detective controls in Oracle you can keep productivity high, while maintaining the ability to track all critical setup and configuration changes made.